Treating addiction can involve pharmaceutical interventions or psychological approaches. For some people who struggle with addiction, it may even involve a combination of the two treatments. Non-pharmaceutical approaches tend to have the benefit of fewer, if any, side-effects, which is why they continue to be an important area of research. In one new study, researchers found that a specific kind of memory training seemed to help people overcome addiction. The research is based on the premise that a person who suffers from an addiction is more likely to pick immediate gratification – even if it’s small – over a benefit that comes in the future. This appears to be true even if the future benefit is a much bigger one. This is one of the biggest challenges in treating addiction because addicts want immediate rewards, which they gain through the use of their substance of choice. 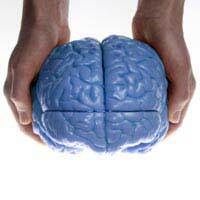 The concept of memory training has become a popular one in recent years. It has not, however, typically been associated with addictions treatment. In fact, memory training is usually associated with intelligence. It is often provided in computer format or workshops that are targeted to anyone from the average citizen who wants to improve their intellectual capabilities to an executive who wants to perform better at work. Memory skills training usually works to enhance not just memory and recall but also how a person learns and utilises this learning in a given environment. What makes this new study particularly intriguing is that it isn't focused on memory as such, but on the pathways that overlap with memory. Your brain is not neatly compartmentalised in a way that each area works totally independently from the others. It is this complex pathway that led to the current study on addictions. After looking at a number of previous studies and approaches, researchers had the idea that by improving an addict’s memory, the addict would be able to better appreciate a reward that comes in the future. Older studies and knowledge suggest that within the brain, many of the mental pathways and processes overlap to include pleasure and memory. It seemed there could be a link here and researchers wanted to see if manipulating one could provide benefits to the other. To test out the theory, the people who participated in the study were treated for their use of stimulants. They received real memory training or ‘pretend’ training as part of a control group. The real memory training involved a series of memory tasks that offered monetary reinforcement. Participants had to remember things by trying to recall words on a list or a telephone message. Those in the control group got the answers and therefore did not have to memorise the words. While the memory training group only received a monetary reward based on their performance, the control group received the reward no matter how well they did. What it means is that if a person improves their memory, they are less likely to discount a future reward. For addicts, we know that there are two processes involved in making decisions. One is known as an impulsive system that is associated with instant gratification. The other system is an executive one and relates to planning and a delayed outcome. With addiction, it’s thought that the impulsive system is too strong and the executive one too weak. Essentially, the improvement of memory seems to balance out these systems more effectively. The study results also seem to suggest that some of the problems associated with addiction are reversible. Researchers hope that future studies will look in more detail at how memory training can help addicts. It may soon be another way that addicts can overcome addiction and will add to the effective pharmaceutical options available for addicts.